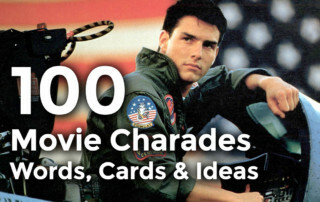 Looking for movie charades printable to get your game on? We've got all the easily printable Charades Ideas you could possibly want in one place. No Login or membership required! Just Print, Cut & Play! 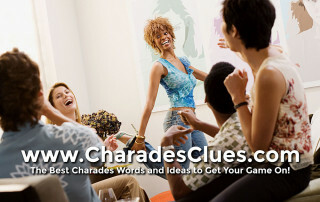 The Best Charades Words and Ideas to Get Your Game On! 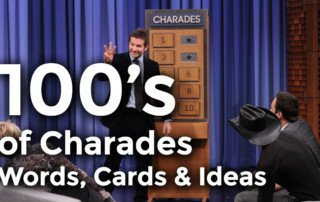 Here are 30 Free Charades Ideas to get you started. 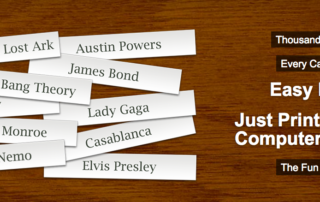 These 30 clues are from all our best categories: Movies, TV, Music & Pop Culture. As always, these clues are tried and tested for Charades. Here are all our Charades Words & Ideas. 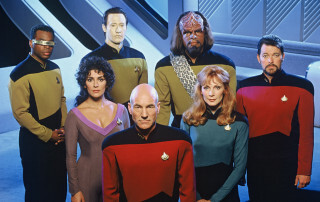 Choose from all our best categories: Movies, TV, Music & Pop Culture. As always, these clues are tried and tested for Charades. Here are all our Charades for KIds. 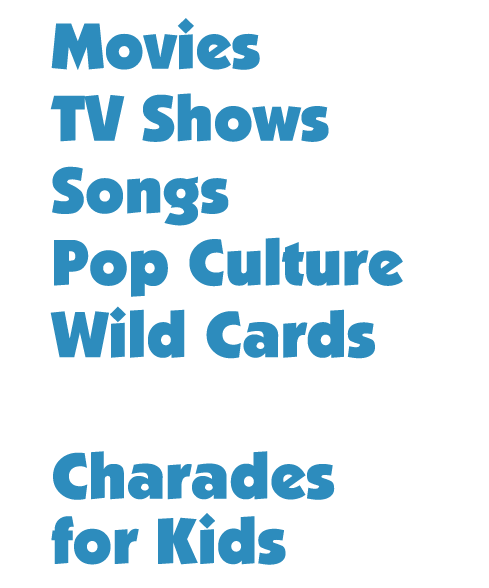 Our Charades for Kids words & ideas are available in two age groups, 5-9 & 10-13. "I just wanted to tell you that you guys are the BEST Charades game site on the internet!" "So many great charades ideas to choose from - totally fun. Charades Clues is the best. Thanks!"